No cell phone connection required. The maps download automatically to your device. Detailed zoomable topo photos and interactive maps make finding the climbs easy. Search functionality that allows users to find the best climb for themselves. 10 climbing areas in Southwest Montana at launch, with more to come! 140+ photos of the climbs! Google Maps based driving directions to the parking lot for each area. Beta for each climb includes a topo photo shot from the base of the route, gear requirements, and a description of the route. Doesn't use cell phone data, as all maps are automatically downloaded to the device. 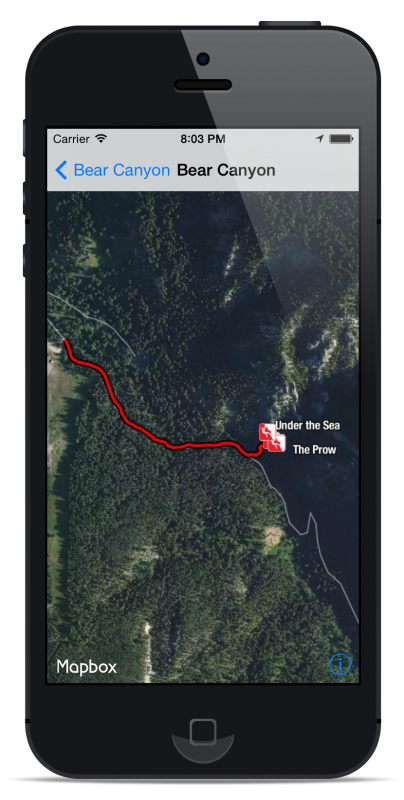 Climb Montana harnesses the power of the GPS in every iPhone to reinvent what a climbing guide is supposed to be. With custom made maps that show the exact locations of every climb, and insightful beta, Climb Montana is a great addition to your next climbing adventure! No cell phone connection is required to use Climb Montana! Maps automatically download in the background for offline use . Use the GPS inside any iPhone to show your position on our custom made maps. Full beta pages describe the proper gear for each climb, alongside helpful beta for the climb and descent. Photos shot from the base of each climb make it a breeze to figure out which climb is which. Use the customizable search to find routes by name, difficulty, area, and star rating. Perfect for finding the best climb for yourself at a crag. Beta Issues or route suggestions?